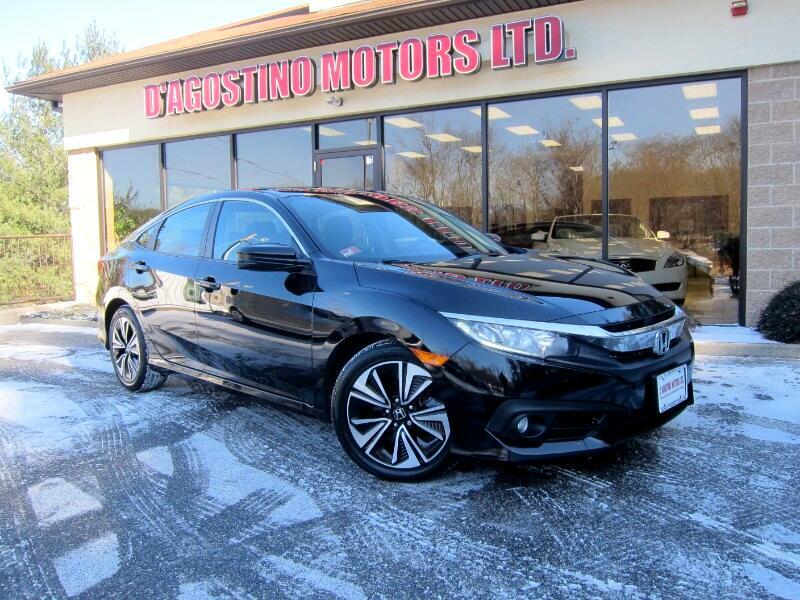 Used 2016 Honda Civic EX-T Sedan CVT for Sale in Smithfield RI 02917 D'Agostino Motors Ltd.
YOU WILL NOT FIND A NICER ONE !!! YOU WILL NOT FIND A CLEANER ONE !!! ONE OWNER !!! CLEAN CARFAX !!! SUPER SHARP !!! THE HONDA CIVIC HAS BEEN AROUND FOR A LONG TIME !!! IT IS STILL A TOP SELLER !!! STILL HAS A GREAT REPUTATION !!! AND STILL HAS GREAT DURABILITY AND RELIABILITY !!! THIS ONE STILL HAS PLENTY OF FACTORY WARRANTY AND PLENTY OF EQUIPMENT !!! THIS ONE ALSO HAS PUSH BUTTON START , POWER SUNROOF , HEATED SEATS , BLUETOOTH , REAR VIEW CAMERA , MULTI FUNCTION STEERING WHEEL , ECO MODE , TWO TONE ALLOY WHEELS. Come Experience the D'Agostino Difference! We Go Through our Vehicles with a Fine Tooth Comb from All Mechanical Aspects to an Extensive Reconditioning and Detailing Process, Expect to View the Cleanest Vehicles in New England Guaranteed !! !